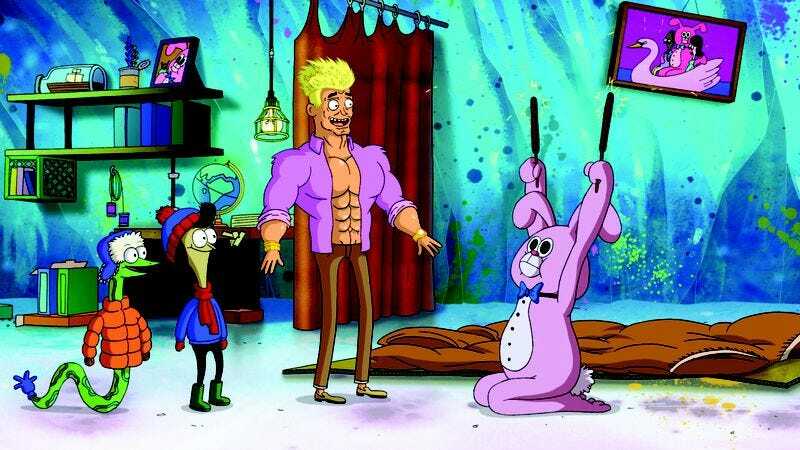 Sanjay And Craig has hosted a lot of notable guests among its voice-acting cast, from Chris Hardwick to Toby Huss to Adam DeVine. It’s latest get, though, is its weirdest yet. The ’80s tough guy and The Expendables star Dolph Lundgren will appear in the show’s upcoming holiday episode, “Huggle Day,” which will air on the network this Friday, December 4, at 8 p.m. Eastern. In the show, which A.V. Club readers can get an exclusive first look at below, Lundgren ostensibly plays himself, though he says it’s more like “the normal Dolph mixed up with the stoic Ivan Drago, the ruthless Punisher, and the crazy Gunner Jensen from The Expendables.” It’s all very weird and surreal, something that’s pretty much par for the course on Sanjay And Craig, and that’s a good thing.